Greetings and welcome to my website! Because I am not the best at web design, I have re-purposed the forum here to share my writings and thoughts. 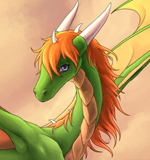 --> However, we do still have an actual dragon forum, just click the "Dragons Valley" icon above to have a look around! Within this site you will find a mixture of topics ranging from general dragon information, some benign personal musings and information on me and my life - a blog or journal of sorts- and lastly you may find a variety of spiritual writings and advice in regards to the concept of Otherkin. My goal in the creation of both this site and our adjoining community is to provide access to resources and support to both fans of dragons and to those who may identify as Otherkin, I hope to do my best in pursuit of those goals! So long as I can show even a single person that they are not alone in their beliefs, then I have changed a life, and this site has succeeded in its purpose!